By now you likely know the basic details in the Trayvon Martin case: Trayvon Martin was a 17-year-old African American child who was shot and killed on his way home after purchasing a bag of Skittles and an iced tea; Trayvon was unarmed; the man who killed him was patrolling his neighborhood with a gun, and he chased Trayvon against the advice of the 9-1-1 operator; the man who killed Trayvon has not been arrested or charged with any crime; Florida has a broad-ranging self-defense law called "Stand your Ground" which may provide a defense for Trayvon's killer. You have probably also heard some of the responses. Some very intelligent people have commented on what the Trayvon Martin case means, and I encourage you to read those commentaries. (Including these two on the psychology of guns and self-defense laws: Here and here.) There have also been some ill-reasoned responses, including the idea that children of color wearing hoodies in public are somehow asking for violence. I keep asking myself why Trayvon's killer carrying a gun while on a neighborhood watch in a gated community. I wonder why he chose to run after Trayvon, and most importantly, why this killing is not being investigated further by the police. 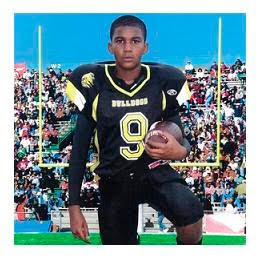 Imagine, for a moment, that Trayvon Martin was your friend, or student, or neighbor. Whomever you choose--just imagine that he was more than a name in a newspaper. And further, imagine that you were walking with him that terrible night. And, that despite your best intentions, that you were unable to stop him from being killed. Because that can be similar to the reaction of those of us reading the story, hearing the details, seeing the pictures, asking ourselves how we would have reacted. "Minority stress" is the term researchers use to describe the negative feelings that come from being a member of an oppressed minority. The idea of minority stress was novel when it was first researched, but now it has become an accepted reality in the mental health community. In other words, we have known for years that merely being a member of an oppressed group is damaging to one's mental health. But minority stress is different from other kinds of stress, in that it is cultural. Minority stress cannot be viewed as a part of normal human life, because the circumstances that produce it are not necessary. It is the result of the cumulative total of all of the Trayvon Martins through history; it is the result of a society in which we send the message repeatedly that one group is not entitled to the same safety, liberty and rights. It falls on each of us to work to change the culture in which a case like Trayvon Martin's is possible. It is not an abstract concept or a job for the activists of the world--the psychological reality of racism goes deep into each of our hearts and minds, as the culture in which oppression exists is co-created by each of us every day. For those of us who are mental health professionals, we must be aware that each individual lives in a society which impacts that individual, and just as much as we have a duty to those who seek help from us, we have a responsibility to engage with our society and culture, which impacts all of us who live in it. The fallout of the Trayvon Martin case is important for any of us who want to live in a society of law, in which justice is valued and pursued--and it should be of great concern for those of us who have dedicated our professional lives to the alleviation of human suffering. Isn't there also a psychological response to the non-minority side that addresses the blank wall of "of course it's this way, that's the way it's always been" attitude? I don't think this is just a question of education. There are people out there who really can't seem to grasp empathy across racial and cultural boundaries. How depressed is that mouse?